Renowned among food lovers as the caviar of salt, Fleur de Sel is a pure, immaculately-white, coarse sea salt. It forms as a fine sheet on the surface of the crystallizers where it reveals itself to natural elements: the wind, the sun, and the ocean. The Fleur de Sel is then delicately skimmed off the crystallizers at dusk during the summer harvest. The whiteness and pure quality is due to the fact that it does not float to the bottom and mix with the clay and minerals. Vent d'Ouest ® : Slightly larger crystals form from the west-blowing ocean wind creating crunchier and bigger crystals. Vent d'Est ® : Delicate and smaller crystals form from the drier eastern wind creating refined crystals that are more subtle on the pallet. 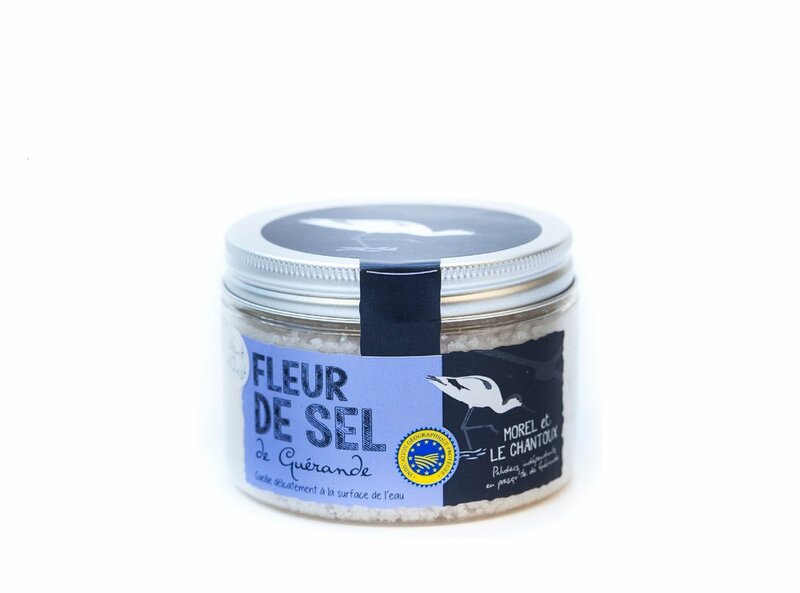 Highly favored by gourmets and chefs, a sprinkle of Fleur de Sel will enhance any dish. Use it on meats, fish, vegetables, or salads as a special finishing salt.